It seems the letter "h" has found a new home and has deserted words, keyboards, landmarks, news stories, and offices opting instead for a better life on the back of the Lexus hybrids, the RX 400h, GS 450h, and LS 600h. 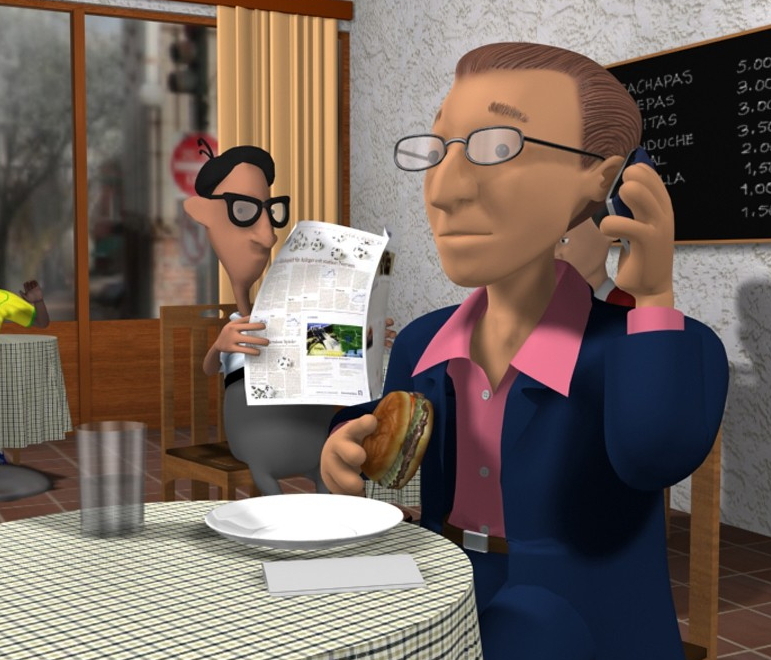 Called The Power of H and created by Team One, the commercial shows us what life would look like without the letter H. Apparently, it's a better life and one which embraces change, looks forward and doesn't rely on the status quo. We never new a car could make such a powerful, cultural statement. Hence forth, we will be proud to be known as Steve All. While the strike may be nearing an end, Boone Oakley has come to the aid of the Writer's Guild of America with a solidarity campaign along the lines of so many other ribbon-style cause-related campaigns. 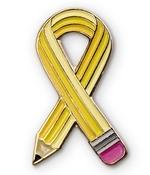 The lead graphic element in the campaign is a pencil twisted into the shape of a ribbon. The campaign urges writers, directors, actors, crew and fans to wear the pin in support of the writers and to show "media moguls" the WGA is united and won't back down. Checkout the campaign elements on the Bring Back the Dialogue site. Yes, But Will There Be a Technicolor Dreamcoat? If you can't afford LSD, mark your calendars (February 15th) for the debut of The Sound of Color. "Does red sound like gurgling, molten lava?" the website asks. "Does green sound like the familiar tune of wind whistling through the trees? Do black and white even make a sound? What is the sound of color?" We played with the idea of going, "Oh my, what is this? What is this?" but the truth is we already know because we wrote it up for MarketingVOX. This is a Gap campaign for which artists will write songs and make videos about color in all its tie-dye glory. The site will hock colorful swag and free music downloads. After a month, artists will regain the rights to their songs, and some of the meaner ones might decide they don't want you downloading their pigment-inspired masterpieces for free. As with manna, hoard as much as you can. We're officially crazy about CareerBuilder's "Start Building" campaign, which debuted on Super Bowl Sunday. Wieden+Kennedy, with help from a52 and (Rock Paper Scissors), gives us "Help You, Help You" and "Self-Help Yourself." We didn't really get what was going on in "Help You, Help You" until the end, which had the odd effect of keeping us glued to our seats until we could make sense of it. We'll preface it thus: watching a guy stroke his own face, before lovingly carrying himself out of his pathetic job, gave us that "foreign-finger-in-our-bellybutton!!!" feeling. Recent findings from Reprise Media critique this year's Super Bowl advertisers for failing to buy online search terms related to their ads. 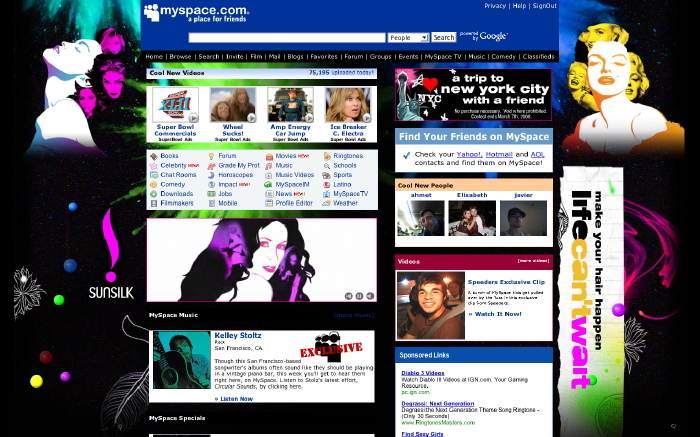 They also neglected to leverage online social networks, where most worked so hard to build a presence. Oddly enough, some advertisers did incorporate social networking into their Super Bowl ad campaigns. That is, if slapping a skin onto MySpace the week after the game counts. Check out the try-hard efforts of Sunsilk at left (for this commercial) and Vitamin Water with Shaq. Don't get us wrong; ravaging a social networking homepage is probably the 'net equivalent to billboard advertising. Users definitely get an eyeful. But it's not terribly interactive, the contact lasts two seconds, and there are more creative ways to exploit SB ad buzz online. Update: the cats at Deep Focus just told us there's an interactive MySpace page for Shaq and Vitamin Water. So if you want some nifty matching widgets, or just want to watch Shaq horserace, take a look. 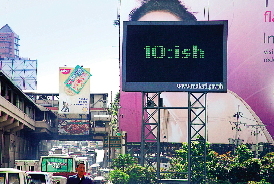 In the Philippines, or maybe just among Filipinos, nothing happens on time. It's one of those things that drive us crazy. When we attended the premier for The Debut (an awkward Filipino-American movie you should never EVER watch), it started 45 minutes late. The director, who was present, gave us a winning grin and said, "Filipino time. You know how it is." Giggles issued all around, followed by the crunching noise of smuggled food. ARG. To promote the merits of Pizza Hut's on-time delivery in the Philippines, the creative team at BBDO Guerrero Ortega sent us the outdoor printwork for its campaign, "Hate Late?" 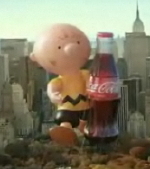 "Jinx" by Coca-Cola sparked a political flare war in our Adrants Super Bowl chat room. In it, James Carville and Bill Frist set aside their differences over a personal jinx (except Carville has to buy Frist a Coke, not a slushee). Cute. Why can't more things in life be solved this way?